> The Brewers didn’t make any significant moves on the first day of this year’s Winter Meetings. Doug Melvin was questioned about a few topics, such as a possible pursuit of Ryan Dempster, but, as always, he said very little. 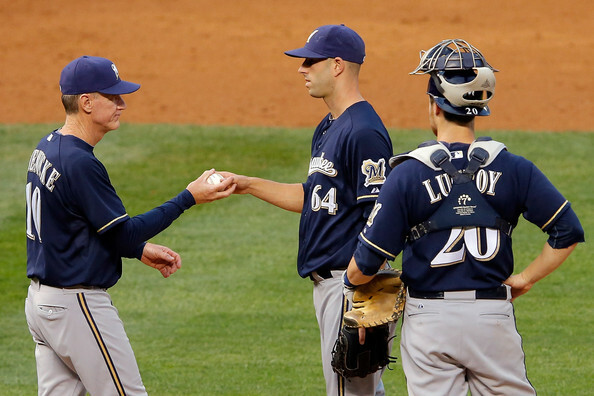 Whether or not the Brewers end up signing a veteran such as Dempster, the young guys are still going to get a look. In my opinion, the only locks for the rotation at this point are Gallardo and Estrada. The rest of the guys- Fiers, Peralta, Rogers, Narveson- are all viable options as well, however, and I don’t think the rotation is as big of a problem as some are making it out to be. Melvin did speak about the bullpen situation, however, and said he’d made contact with the agents of two of the best possible fits for the Brewers: Sean Burnett and Jason Grilli. Burnett, in my opinion, is the best lefty on the market, so if the Brewers were to nab him, I’d be happy. 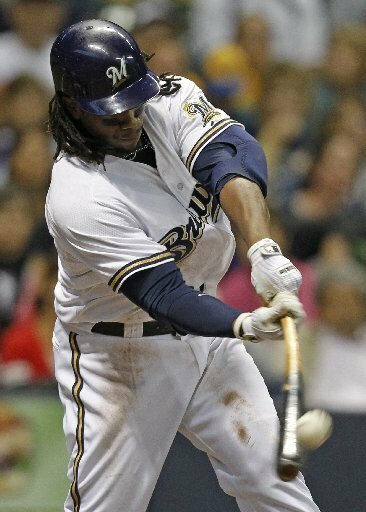 But that’s what we all thought about David Riske in 2007, and look what happened after the Brewers signed him to a three-year pact. Grilli is already 36, but the Brewers had success with LaTroy Hawkins (38 at the time) and Takashi Saito (41) in 2011, so I’m not too worried about the age factor. Anyway, he’s one of the better right-handed relievers on the market, and can still get it up their in the mid-to-upper 90’s, something the Brewers are looking for. > Melvin clarified that the Brewers see Estrada and Narveson as starting pitchers “at this time.” Estrada, who basically played the role of swing-man in 2011 and early 2012, has proven that he is much more successful pitching in the rotation, and now he’s getting his shot at the full-time job. 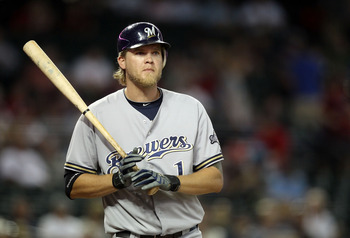 Narveson, on the other hand, missed all of 2012 after just two starts because of a rotator cuff injury. If the Brewers sign a veteran starter, Narveson would be my first choice to move to the bullpen, but I’m fine with him in either role. > After the Burke Badenhop deal the other day, Melvin said the Brewers aren’t involved in any trade talks at the moment. > Melvin hasn’t talked to Corey Hart about a possible extension yet. But now there’s speculation that his price has driven up following the mega-deals that went to B.J. Upton and Angel Pagan. > As I’ve speculated over the past few weeks, teams have asked the Brewers about Jonathan Lucroy and Martin Maldonado, possibly the best young catching tandem in the Majors. But Melvin said he’d need to be blown away by a deal for either of them. > And that’s about all the Brewers news for today. Check back tomorrow for coverage of Day 2. Red Sox: Signed Mike Napoli to a three-year deal; signed Mitch Maier, Terry Doyle, Drew Sutton, Oscar Villarreal, and Jose De La Torre to minor league deals. Giants: Re-signed Pagan to a four-year deal. Rangers: Signed Joakim Soria to a two-year deal; re-signed Geovany Soto to a one-year deal. Rays: Signed James Loney to a one-year deal. Padres: Re-signed Jason Marquis to a one-year deal. Blue Jays: Claimed Eli Whiteside off waivers from the Yankees. Nationals: Re-signed Zach Duke to a one-year deal; signed Bill Bray to a minor league deal. Braves: Re-signed Paul Janish to a one-year deal. Diamondbacks: Signed Rommie Lewis, Eddie Bonine, Kila Ka’aihue, Humberto Cota, Jeremy Reed, and Brad Snyder to minor league deals.